Memory Blocks challenges the player‘s intellect. This simple, common game appeals to all ages, from children to elders. People will not grow tired of playing this game. This easy fun game for the brain could be easily seen on a webpage of a game website. 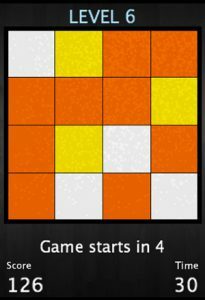 As the title of the game suggests, the goal of Memory Blocks is to memorize a pattern. 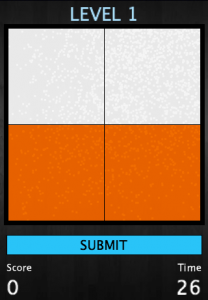 Specifically, the player must memorize a pattern of colored transparent squares that the program generates and then replicate the pattern. The game has different skill levels and a score counter that registers the player’s score. Points does not matter, just if you finish it faster you will get more points. As the player continues, the levels keep getting harder and it will add an extra block every time you beat a level. The game has an infinite number of levels. 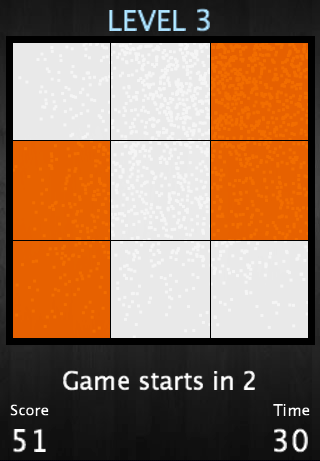 The player has 5 seconds to look at the squares then 30 seconds to solve them. 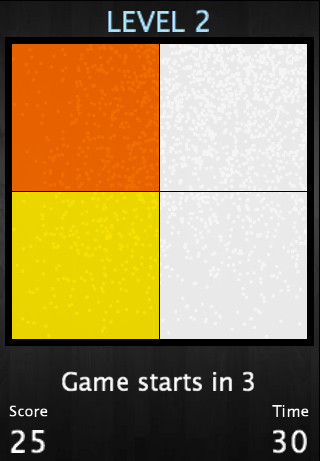 If the player does not solve the combination after 30 seconds, he will lose the game and he will have to restart the game at the level 1. This project was made in Processing and works on Java enabled browsers.